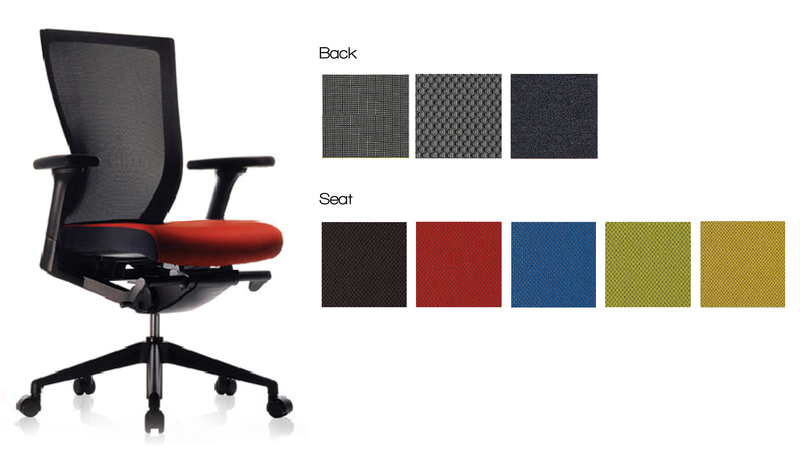 How might the existing office chair blend into a home environment? How might we transform a rigid office chair for home use? What are the differences in the target users and their lifestyle between office and home? T50 New Color Edition was proposed based on user’s needs and trends. The project incorporates a marketing strategy. Below colors are new color edition(Sky, Mandarine, and Sand) that I proposed and successfully applied to T50 series. The new color series was released to satisfy home use of T50 series which was designed for the office. To change the oppressive mood of T50, I proposed a white resin for its plastic frame. Previous T50 series has only black and primary colors because of its use for B2B market, mainly corporate offices. However, its demand for home use was increasing, so the company needed new color variations. Based on market research, I proposed a pastel midtone, unlike existing color set which is composed of primary colors. To use new colors as a marketing tool, I also named them from natural components such as sand, mandarine, and sea glass. The final names of the colors are Sand Beige, Mandarine Orange, and Sky Blue.